HideAway lets you easily bypass network restrictions and firewall software, access websites blocked in your country, unblock video streaming and games websites and effectively unblock any website blocked at school or at work. It can bypass filters and firewalls set by your network administrator to gain access to your favourite content at your school, the library or your office. Use it to get access to Facebook and YouTube and unblock Twitter, unblock gaming websites, unblock Gmail or other sites. Bypass Location-based Restrictions when travelling overseas – If you are traveling overseas, you may find that the local government blocks access to certain websites or services by setting up location-based restrictions. These restrictions prevent you from accessing blacklisted websites in the respective country you are in. HideAway lets you easily bypass geo-restrictions and access blocked websites in the country you are staying at or living in. Location-based IP address filters identify your location using the IP address assigned by your ISP and block you from accessing particular websites. 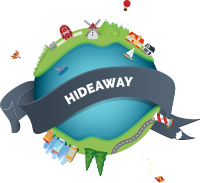 HideAway assigns you a new IP address belonging to one of our servers worldwide. This gives you free access to Youtube or other content you want. 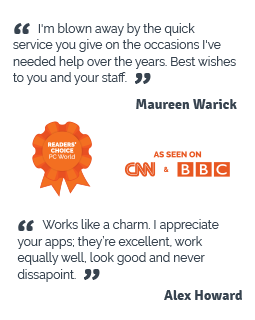 Stay anonymous, private and secure when browsing the internet with the worlds fastest, most flexible VPN.